If you’re not familiar with IFTTT (If This Then That), it’s a free web-based service that allows users to create chains of simple conditional statements, called “applets”, which are triggered based on changes to other web services. IFTTT is a great way to automatically add content from many web services including Facebook, Twitter, Instagram, and more. You can even set up an SMS trigger to create a journal entry via text message! 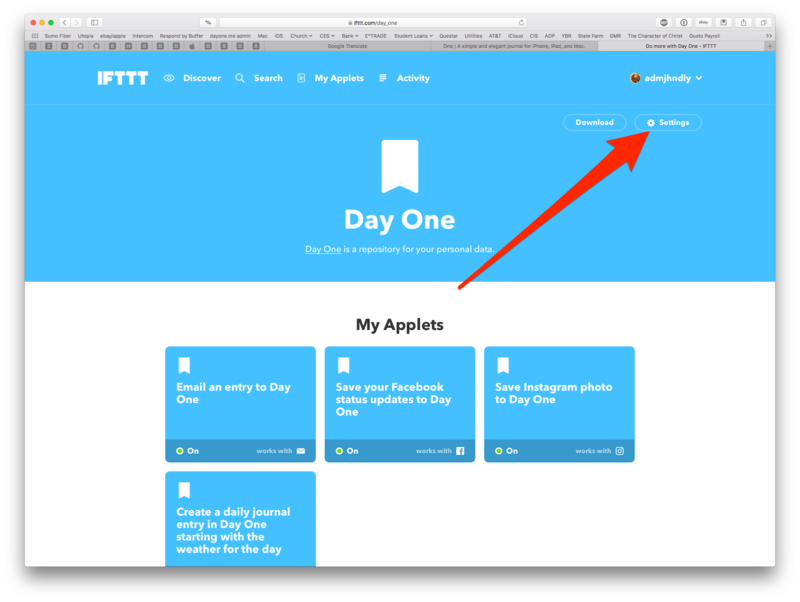 IFTTT requires Day One Sync. 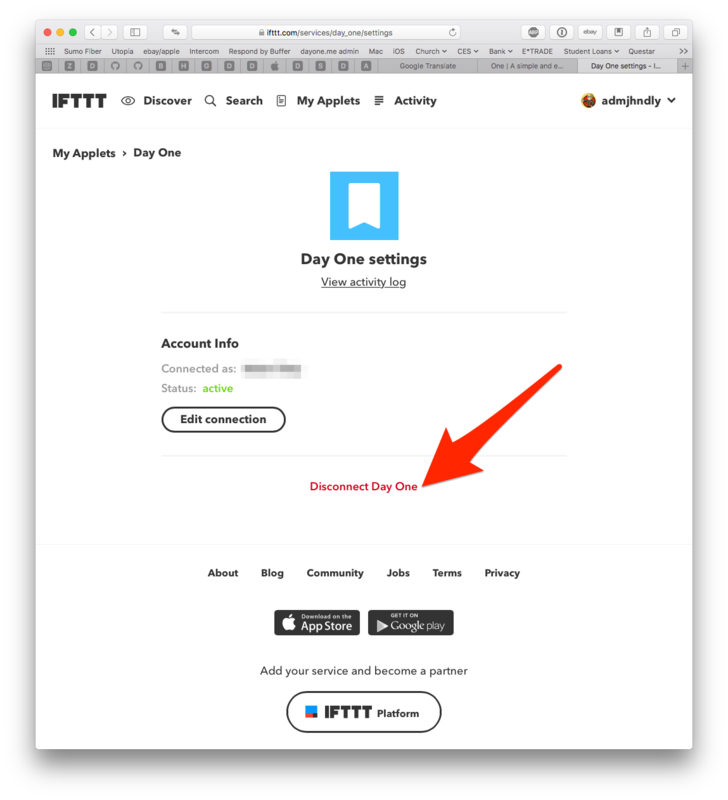 Day One Sync is available to all Plus (grandfathered) and Premium users. You will create a free account at IFTTT.com. Then you can begin creating "applets". These are the services you can connect that will automatically create entries based on the criteria you choose. You can have entries created in Day One every time you send a tweet, or post a new Facebook status. 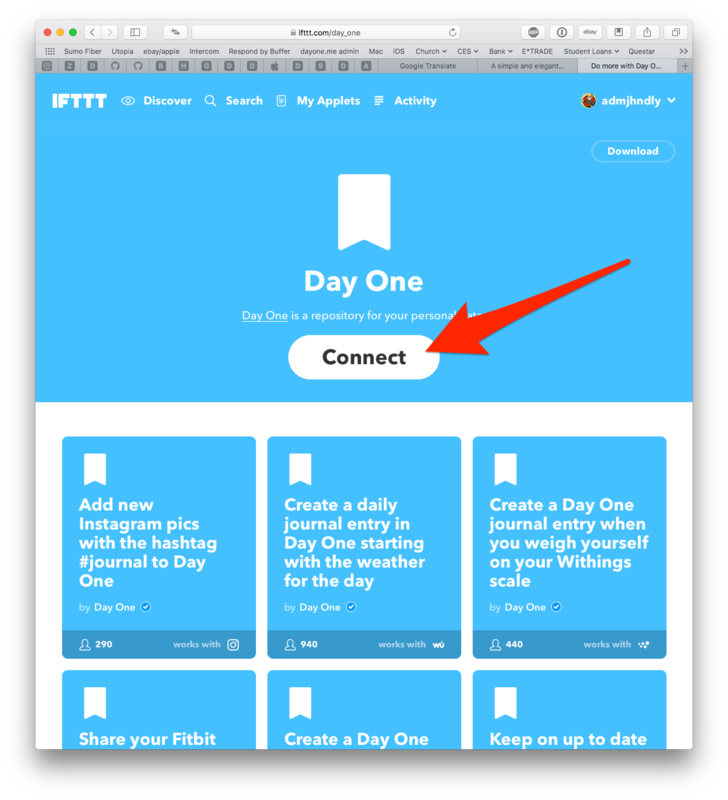 You can send an email to IFTTT that will create entries in Day One. Once you sign up for an account, click My Applets to get started. Many recommendations will be available. 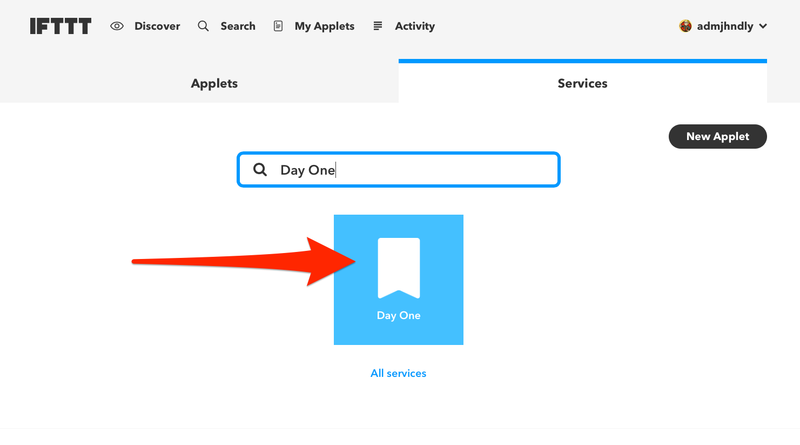 Once you have chosen a desired "trigger" you will need to connect your Day One Sync account. 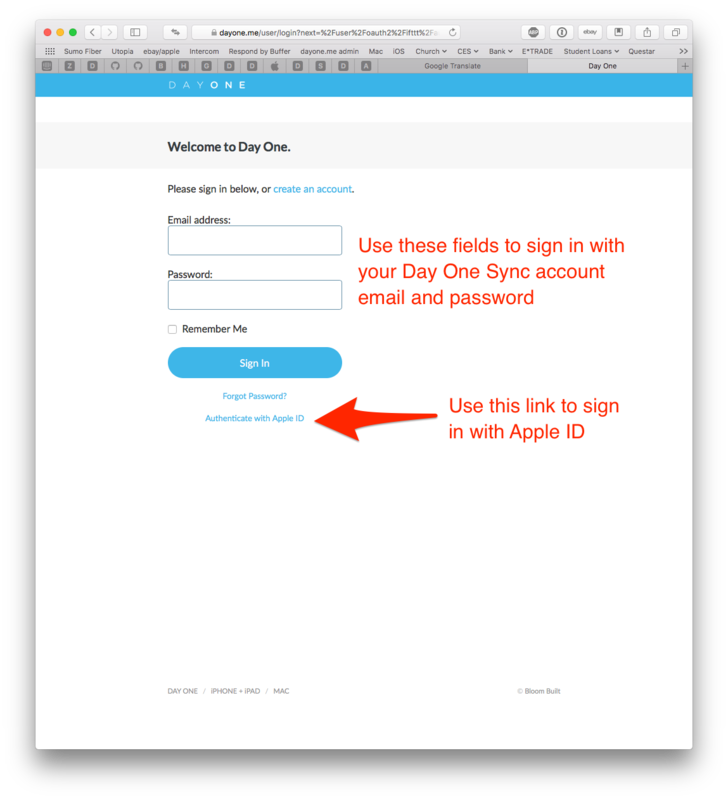 If you use Apple ID to sign in to Day One Sync, please be sure to use the link to Authenticate with Apple ID. 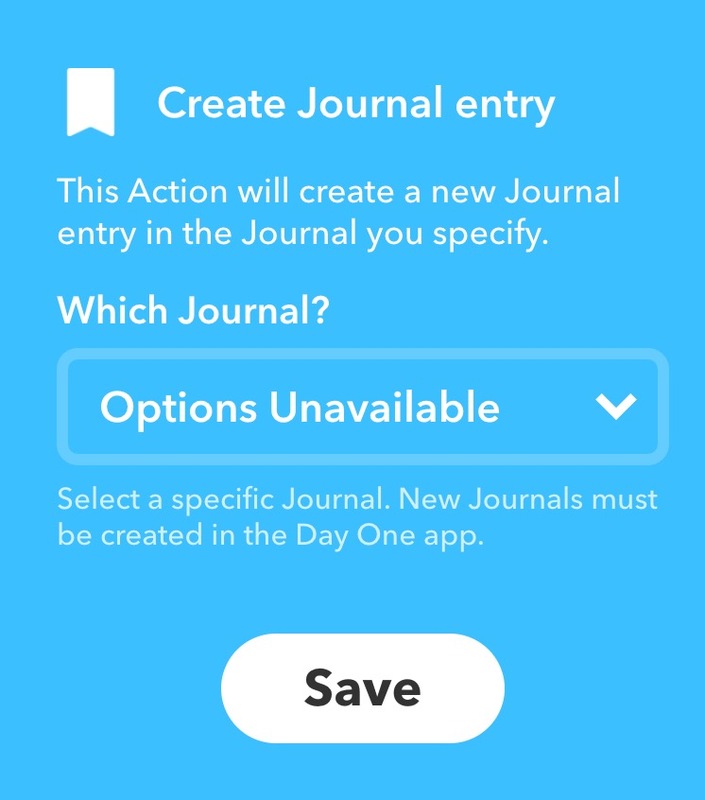 IFTTT does not currently work with journals that have end-to-end encryption enabled. Accept the disclaimer. You will need to recreate your applets later. Sign in with your Day One Sync account. If you use Apple ID to sign in, click the link to Authenticate with Apple ID.